Since I drove all the way down to Winchester, I figured I'd get a two-for-one deal out of it. This photo of their guitar wall was taken shortly after midnight. 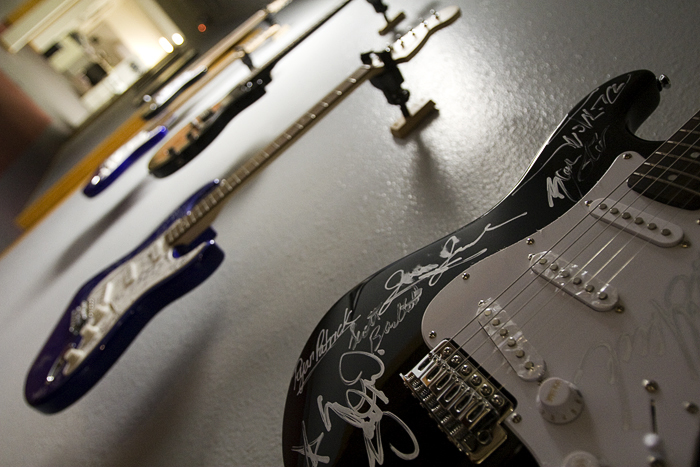 There are a ton of signatures on each guitar; I'm just not sure of any of the names.